I, like many out there, originally found myself dreading Friday, January 20th. Yet I’ve reframed it as the real “coming out” party for positive resistance and activism throughout the next four years – something I should definitely be doing more of. While I respect the need for diverse political opinions and ongoing constructive political discourse, if there’s one thing I’ve learned through my domestic and international experiences, it’s that collaboration, understanding, tolerance, patience, empathy, courage, and inquisitiveness are imperative to an increasingly globalized, interdependent world. Universities often stress this intricate web of social, economic, religious, and cultural interdependencies in educating tomorrow’s leaders. Protectionism and isolation are not the way forward. Lots of lists similar to this one have made the Internet rounds in recent months. Let this be a more concrete call to action in conjunction with Inauguration Day. Former expats from the US, let’s use what we’ve gained abroad and positively put it to good use for our country – even more than we probably already do! However, you don’t have to have had experiences abroad to be a global citizen at home. 1. Volunteer: A legacy from George H.W. Bush, the Points of Light organization is a great starting point. Plug in your zip code and what interests you, and volunteer opportunities will pop up around you. In a similar vein, All for Good, a subsidiary of Points of Light, connects visitors with even more volunteering opportunities. For those professionals in their 20’s and 30’s, depending on the region of the country, United Way often has an Emerging Leaders Program that offers an array of volunteering opportunities in a more structured way. These organizations make getting involved super easy! 2. Support marginalized groups: A couple of MLK quotes have been floating around lately in respect to activism, respect, and human rights activism. While I had read them before, I once again came across them while visiting the relatively new Martin Luther King, Jr. Monument in DC this past August and have been contemplating them ever since. I saw them again when I read a collection of Dr. King’s essays, sermons, and speeches, “The Trumpet of Conscience,” back in late November. Work with non-English speaking immigrant children to improve their English. Help those studying for the citizenship test. Learn about ways to support the Council for American-Islamic Relations (CAIR). On a basic level, if you hear someone make a disparaging comment about people of color, respectfully SAY something, even if it makes you uncomfortable at the family dinner table. Being an ally means constantly offering your ability to listen and support when some may be too afraid to ask. March. Speak out. Prior to the election, I felt our nation was at a crossroads. I was wrong. NOW, faced with a transformational obstacle, we are at a crossroads. How we respond will be scrutinized by future generations. It’s up to us to now disprove Dr. King’s words and to help others do the same. These ideas are by no means exhaustive so keep looking for more to do in this area. 4. Learn about your local, state, and federal government: This may seem relatively minor. However, how much do you remember from your high school government class? Knowledge is power. Even if you are thousands of miles away, you can open a book, click on a website, ask questions. Thanks to the election results, I’ve gotten to know more about my local representatives, what committees they’re on, when they hold office hours, how to contact them, and how they are representing the people of Western Washington’s Ninth District. Relearn the processes and procedures surrounding the passing of legislature, Congressional schedules, etc. Heck, go to Amazon and buy a used copy of “The Complete Idiot’s Guide to U.S. Government and Politics.” This will further equip you with the ability to discern the facts (yes, they still do exist) and critically analyze what you’re reading about the things going on in government at all levels. 5. Read: I’m going to kind of cheat with this one and include a lot of things that consist of reading in general. Explore how South Africa’s Truth and Reconciliation Committee helped with the end of apartheid transition. Research ways in which you can improve your communication and dialogue skills (keep reading for some tips). Please note, I didn’t say “debate” and “persuasion” skills. Check out the organization that states, “Society becomes how you behave”, Eric Liu’s ‘Citizen University’, to see ways to make an impact. And yes, read works of great past and current activists, thinkers, and changemakers. Here are three reading lists to continue your learning. 6. Have an open, respectful conversation with someone who voted differently from you: It is possible to have a disagreement without an argument. People are not their vote. Remember that if you enter a conversation aiming to persuade someone, you aren’t going to “win.” As Dale Carnegie explained, “A misunderstanding is never ended by an argument but by tact, diplomacy, conciliation, and a sympathetic desire to see the other person’s viewpoint.” Not sure how to do this? The article, Bits and Pieces, from The Economic Press outlined a few ways to help us. 2. Distrust your first instinctive impression. 5. Look for areas of agreement. 7. Promise to think over your “opponent’s” ideas and study them carefully. 8. Thank your opponent sincerely for their interest. 9. Postpone action to give both sides time to think through the problem. 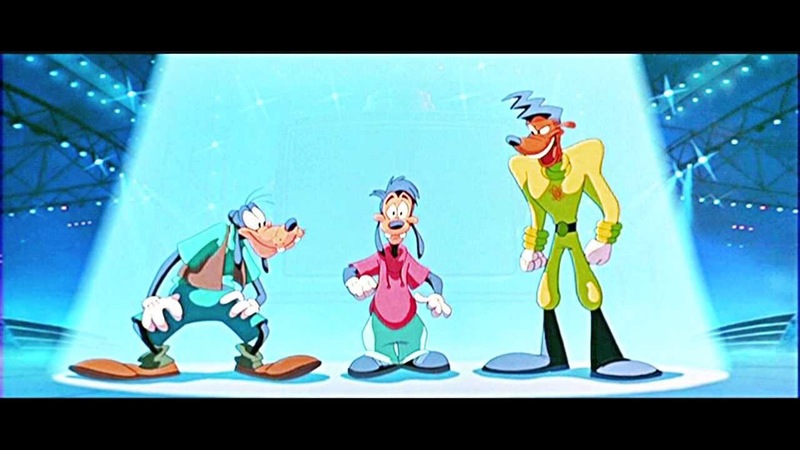 And while they might appear as corny as ever, the great Tevin Campbell got it right all those years ago when he sang, “If we listen to each others’ hearts, we’ll find we’re never too far apart,” on the Goofy Movie soundtrack. View the movie clip/music video here.